Anno Moyoko was born March 26, 1971 in Suginami, Tokyo, Japan. She is a manga artist and fashion writer, with numerous books published in both categories. Her manga and books have attained considerable popularity among young women in Japan. 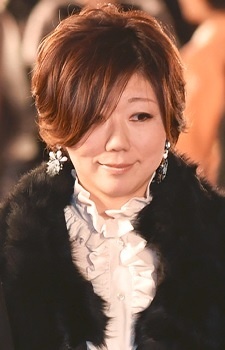 Though she primarily writes manga of the josei genre, her most popular series, Sugar Sugar Rune, (serialized in Nakayoshi) is targeted primary at school-aged girls. In a recent Oricon poll, she was voted the number eight most popular manga artist among females and thirteen in the general category. Her manga Happy Mania was made into a television series in 1998, followed by Hataraki Man in October 2007. Sakuran was made into a movie in 2006. Moyoko is married to famous anime director Anno Hideaki. Her and Hideaki make a power couple, one's a god in anime industry, while the other owns a throne in the josei manga genre... Jesus christ. Amazing mangaka! She can write pretty much anything! Hataraki Man turned out to be 10 times more engaging, mature and introspective than I anticipated. Great work, pun intended! Also, please do yourself a favor and persuade your husband to stop milking his controversial anime franchise already! That's enough! He'd better come up with something fresh or retire once and for all, so that he direct all that vital energy towards you instead... if you know what I mean!